Konica Minolta Business Solutions USA Inc. is a leader in advanced imaging and networking technologies from the desktop to the print shop and brings together unparalleled advances in security, print quality and network integration. The Future of Document Delivery.....Copying. Faxing. High-quality Printing. Online Document Transmission. HP is dedicated to helping you find the most effective way to do them all, based on your specific demands. Spending too much time on desktop printers? Let Caltronics Managed Print Services manage your print environment and help keep your workplace running smoothly. We’ll help you reduce costs and eliminate the time involved with monitoring the print fleet—so you can do whatyou do best, even better. Desktop Printer, MFP’s, copiers, scanners, and fax machines are critically important to success of most organizations. Managing these devices on the other hand can be stressful, time-consuming, complicated, and costly. What if there was a way for you to manage your print environment, optimize your workflow, improve your efficiency across the board, and help cut costs as well? At Caltronics, we’re experts in managing print environments and document workflow, creating your unique optimized solution. With our Caltronics Managed Print Services (MPS) program, we’re helping businesses of all sizes achieve more efficiency with their print environment. Our customizable printing service assume all the responsibilities of managing your fleet of printers and copiers, as well as improve business workflow, and help you business push a green initiative, allowing you to focus on what you do best. 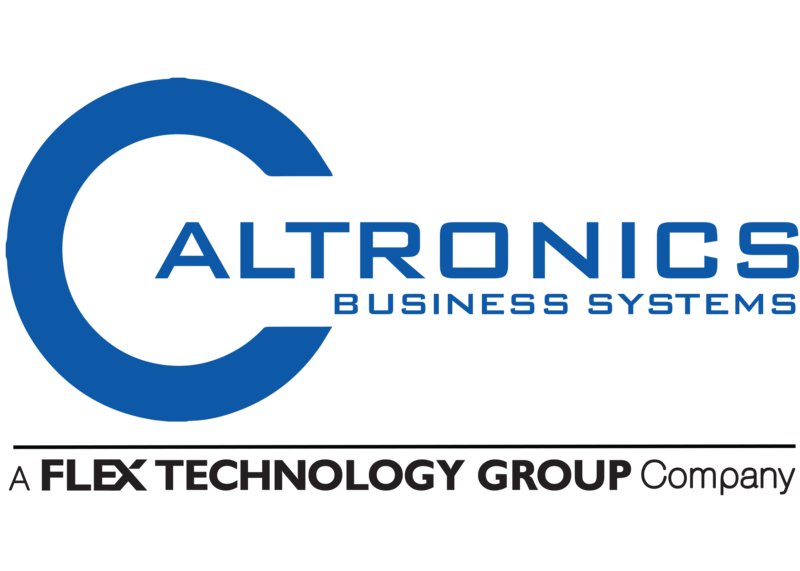 Caltronics MPS offers world-class print management—eliminating the stress and abundance of time spent managing the print environment, as well as helping you realize significant cost savings. Our team of specialist, combined with our knowledge of the processes, and leading edge technologies make the Caltronics difference: from the assessment and proposal phase, to setup and maintenance, reporting and quarterly reviews, and constant optimization efforts, our team is dedicated to continually providing you with the most successful document workflow solution for your environment. No matter your needs, our specialized Caltronics team is able to provide special attention and a customized solution to each of our MPS customers. Caltronics MPS offers fast response times and service you can depend on.Our technicians arrive onsite within 2-4 hours of aservice call. And because they’re empowered with the tools, information, and parts they need, they’re able to fix most problems on the very first visit. Choosing Caltronics MPS is more than just making sure your printing hardware runs properly. By gaining control of your printing environment, and capitalizing on a constantly evolving document workflow processes, you can successfully cut costs of business and focus on your true revenue streams. In order to create successful solution, you need a consultative partner with knowledge of what your business wants to achieve, along with the expertise needed to get you there. Caltronics MPS is centered around a results based approach. Using the most cutting effective technology available in the industry allows Caltronics to approach the management of your print environment differently. We have built our MPS program with the understanding that printing and document management are essential parts of your IT architecture. Because we recognize the importance of incremental and continuous improvement, you will be better able to adapt to changes in your industry as they begin to surface. During the initial assessment of your print environment, we’ll gather relevant information from all of your devices, as well as do a physical walk through of your facility. This walk through allows us to create site maps with the locations of all of your devices as well as giving us a better understanding of you business workflow. This allows us to do more than just analyze your print environment. Part of the Caltronics process is collaborating with you to define and understand future goals and our solution is built around making them a reality. When we’ve completed our detailed analysis, we will provide specific and pointed recommendations for managing your print environment, optimizing devices and locations through right sizing the fleet, addition, or retirement, and improving business process workflows. Using the information we gather throughout the process, we are able to make recommendations on how to improve productivity in the workplace, while at the same time cutting costs. Once you’ve reviewed our customized solution proposal and signed an agreement with Caltronics MPS, we’ll start putting plans into action. First, we’ll apply a sticker with a unique identification number to every device under contract, so users can immediately begin requesting service and your IT staff can concentrate on more technically aspects of keeping business running smoothly. As part of the transition process, we’ll help you set up new devices, retire old ones, and implement any new software solutions. Plus, we’ll work with you through onsite training to demonstrate new processes or device changes to key stakeholders and end-users to ensure a smooth transition. Now, when there are any service issues with your devices you can count on fast reliable resolution—whether it’s a simple paper jam, or a more complex maintenance procedure. Users can submit aservice request directly, with no need to contact for IT involvement. They can log in to our website, or simply call the service number on the device ID sticker to promptly reach our dedicated dispatch center. Our technicians arrive onsite quickly, and the majority of the time, they’re able to repair the device on their very first visit. With Caltronics MPS you’ll no longer have to worry about storing, managing, or replacing printing supplies. Our service includes automated supply replenishment and inventory management. At our quarterly business reviews, we’ll provide detailed and customizable reports on your actual device usage and make recommendations on what changes to make to get the most value out of your printers and copiers. Another great service that Caltronics offers is a detailed assessmentof your print processes and business process workflows. Our managed print experts will analyze your needs and propose customized solutions to help your business reach maximum workflow efficiency. By placing existing devices where they will be most useful, retiring your expensive legacy devices, and monitoring you print environment using the latest technology, we’ll help you achieve the optimal balance of cost and productivity in your environment. You may be surprised to learn that the bulk of document costs are not in the hardware infrastructure and management of printing devices. In fact, most of the costs are in end-user time, the flow of documents within organizations, and between organizations and their customers, which are known as soft costs. By revamping your paper-based and digital processes we are able to reduce printing costs and increase office productivity. In addition, we offer a variety of customizable solutions that can help address all of the needs businesses have today. From security and regulatory requirements, to detailed job accounting, we can provide the support the your company needs to get the job done. Partners that have earned the HP Managed Print Advanced Specialist (MPAS) designation possess expertise in providing simple-to complex, Managed Print Services solutions, as well as print-related software solutions. HP MPAS Partners have extensive industry experience and an established Managed Print Services practice meeting HP program requirements. Managed Print Services can include cost and productivity assessments, multi-vendor fleet management and optimization, convenient and cost-effective cost-per-page contracts, and software solutions that improve workflows and streamline document-intensive business processes. In alignment with their investment and performance, HP MPAS Partners are eligible for increased sales opportunities and a reward structure that recognizes the value they bring to the customer.